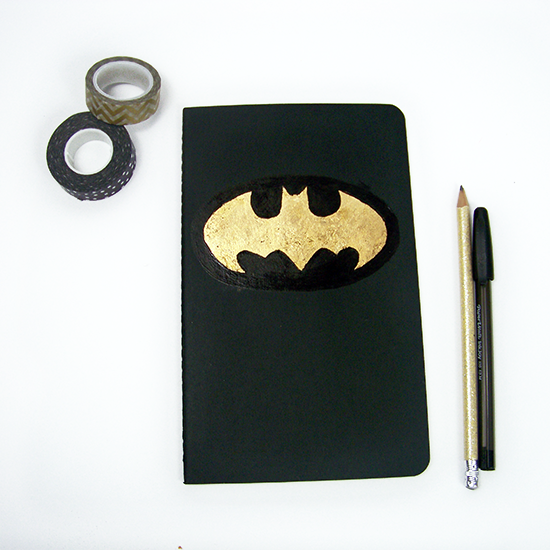 Since I started school last week I decided to give some of my little moleskin notebooks a facelift. 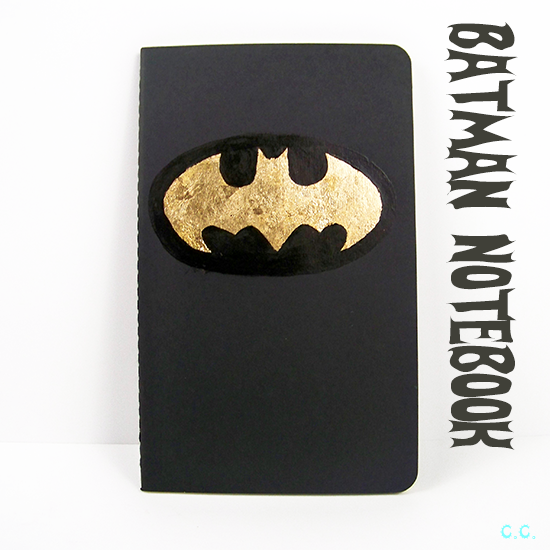 There will be two more notebook tutorials coming up, a bonus post at DALB this saturday, then my next tutorial. 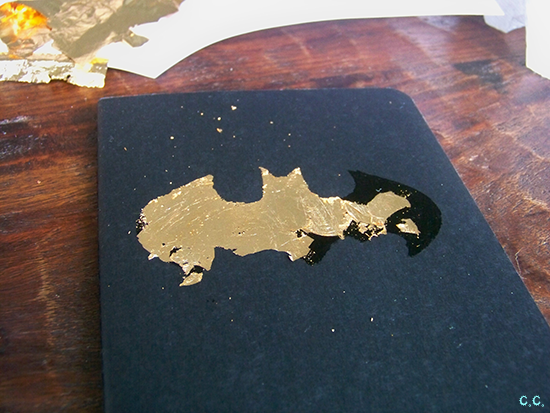 This project is super simple and quick, plus you get to play with gold-leaf which is very fun. 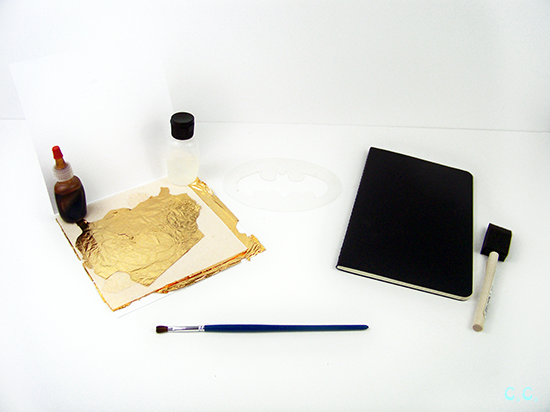 Step 1: Decide where you want your batman symbol to be and draw it/ secure your stencil. 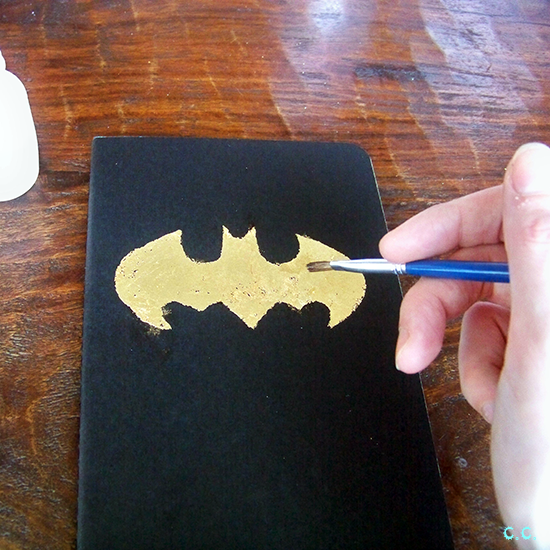 Begin filling the outline in with adhesive. Use the foam brush because this stuff will never come out, trust me. 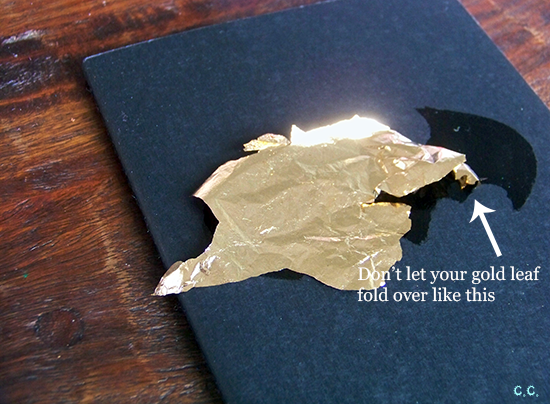 Let your adhesive dry for about 10 minutes, or until it is tacky to the touch. 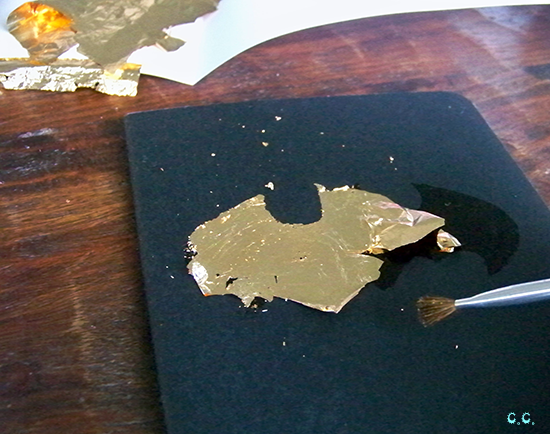 Step 2: Apply a piece of your gold leaf to the spot. Use your soft brush to wipe away the unnecessary bits. they can be reused for future projects! Continue until its all covered. 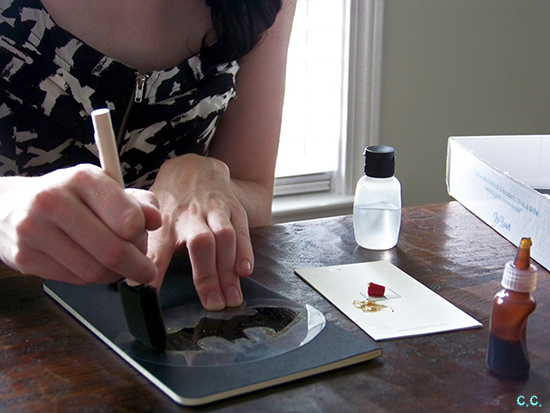 Step 3: Brush on a layer of sealant when you're satisfied. 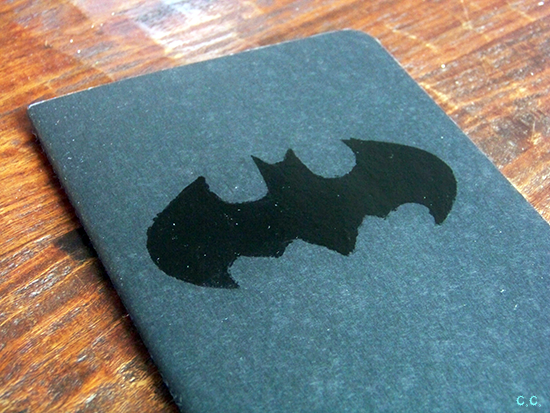 (Optional) Step 4: Paint an oval outline around the symbol in black paint! You can use this to fix any minor outline errors you may have made. Tada! 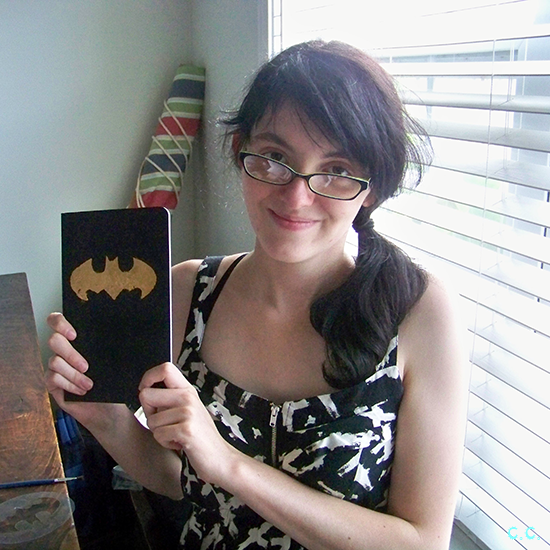 Now you can keep track of all of your criminally insane arch nemeses in this handy dandy Batbook! I feel it's important to use non-boring school supplies, so I always try to give my stuff a 'lil DIY flair. Decorating my notebooks before school starts is a tradition of mine that goes all the way back to middle school. Do you have any school traditions you try to keep up?